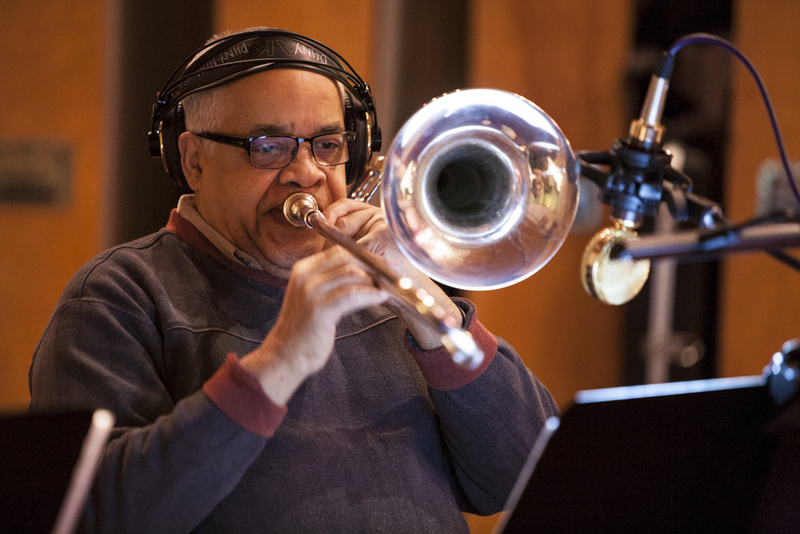 Reynaldo’s trajectory as a Trombonist follows that of the evolution of Salsa Music. Born in Puerto Rico, Reynaldo moved to NYC in 1971. That same year, he joined the Fania All-Stars, and with them was a part of the movie “Our Latin Thing”. He has helped bring salsa to the far reaches of the world such as Russia, Egypt, Singapore, Indonesia, Australia, New Zealand, Hawaii, Taiwan, China, Morocco, and South Africa among many others. Reynaldo has taken part in more than fifty musical recordings including Grammy Award winning; Ruben Blades “Antecedentes”, Tito Puente “Homenaje A Benny”, Tito Puente “Mambo Birdland”, Tito Puente & Eddie Palmieri “Masterpiece”, Arturo O’Farril ALJO “Song For Chico”, Ruben Blades Seis Del Solar “Todos Vuelven Live Recording”. He currently enjoys teaching part-time at Robert Treat Academy, a blue ribbon charter school in Newark, NJ and is an active member of the New Jersey Symphony Orchestra Community Arts Advisory Council. He performs regularly with the Spanish Harlem Orchestra.